It’s been announced that Soul Sacrifice for PS Vita will be coming to Europe. The legendary Keiji Inafune of Comcept is leading this project with MarvelousAQL, with Yasunori Mitsuda and Wataru Hokoyama working on the music and soundtrack. 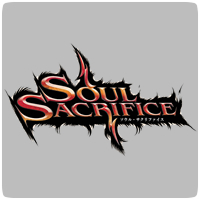 Inafune-San has uploaded thefollowing video about his vision for Soul Sacrifice.